Activating an account for a location with existing service equipment is easy using the following options. A Social Security Number is required to complete the credit check for online applicants who do not have a current credit history with Lewis PUD. Upon receipt of the application, a Customer Service Representative will contact the applicant(s) to obtain the 9 digit SSN and run the credit check. When applying in person, please bring two pieces of unexpired, government-issued identification, one of which contains a photograph. The PUD will accept all forms of identification approved by the U.S. Department of Homeland Security and/or the U.S. Transportation Security Administration. When applying for a commercial account, the person requesting service must be an employee and authorized guarantor of the business. In the case of a Sole Ownership or a Partnership, the request to set up service must be initiated by the owner(s). A non-refundable Account Service Charge (ASC) of $10.00 will be billed on your opening statement. A security deposit may be required when starting service. The determination of the deposit requirement for residential customers is dependent upon the results of a soft credit check through Online Utility Exchange™. Deposit amounts are due at the time of service activation. 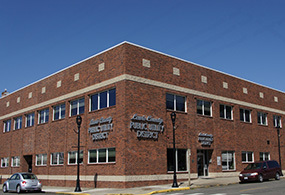 The applicant has established a satisfactory payment history with Lewis County PUD. A deposit refund can occur when a customer has maintained a current account with no late payments for no less than 12 consecutive months. Refund amounts will be applied as a credit to the customer account for which the deposit was assessed. We do not provide same day reconnects for online requests. Online service application requests must be made at least 3 days prior to the effective date of the transfer or reconnect. If any LCPUD equipment is located within a locked enclosure, the District shall be furnished with a key or code for access. Landlords authorize Lewis County PUD #1 to re-establish service in the Landlord’s name without further notification by the Landlord. The re-establishment of service will occur at the time that the tenant terminates services with LCPUD. The Landlord will be responsible for payment of the account from the time service is re-established until a new tenant establishes service with LCPUD. The meter will remain connected: The Landlord will be responsible for any daily basic and electrical consumption charges accrued in-between the vacating tenant and the new tenant. The Landlord agrees to notify LCPUD in writing of any changes of property ownership. LCPUD reserves the right to disconnect the service for non-payment or for emergency purposes. Failure by the Landlord to make on time payments will result in the removal of the Landlord option. The applicant is subject to all of the provisions of the District resolutions establishing service policies and rates, which are by this reference incorporated into and made a part of this application. This application, when accepted by the District, becomes a contract committing the Applicant/Customer to pay for the electrical service furnished in accordance with the applicable rate schedules, including minimum charges, and for any unpaid service and charges previously rendered to the Applicant/ Customer by the District. A non-refundable Account Service Charge (ASC) of $10.00 will be billed on your first statement. 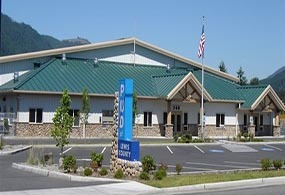 By submitting or signing this document I hereby authorize Lewis County PUD to check credit and utility history. This soft utility credit report does not affect your credit score. It is used only to determine the deposit requirement for the applicant(s). A Social Security Number is required to complete the credit check for online applicants who do not have a current credit history with Lewis PUD. Upon receipt of the application, a Customer Service Representative will contact the applicant(s) to obtain the 9 digit SSN and run the credit check. If the applicant prefers not to provide a SSN they will be considered high risk and the maximum deposit requirement for the location type will be assessed at that time. If it is determined that a security deposit is not required at the time of application, LCPUD reserves the right to collect a deposit at any time should the payment history become unsatisfactory, or the account status becomes delinquent.. If you do not hear from an LCPUD CSR within 2 business days of your submitted application, please call our customer service department at 360-748-9261 or 1-800-562-5612. By typing your name below you agree that all information provided is correct and that you have read, acknowledge and agree to all of the terms and conditions of service listed above. *Company photo ID with a Letter of Authorization on Company letterhead.